Varadero Beach, it’s what you came to Cuba for right? So you’ll be pleased to know there’s simply is no other place on earth like it. Many well-informed people refer to Varadero Beach in Cuba as the “most gorgeous beach in the world.” Why? Because it is! It is 36 kilometers of sand that looks and feels like powdered white sugar. There are many ways to enjoy the beach in Varadero and one of our favorites is taking a taxi ride 5km down the beach and walking back, discovering the many sights, bars, souvenir stores and paladares along the way. Staying in one place or, heaven forbid, just at the beach outside your hotel should be a crime! You need to see the amazing differences the beach has to offer, its wider stretches towards the entrance of Varadero or the rocky cliffs that jut into the sea near Xanadu Mansion. Posted in #1 Varadero Beach, Top 10 Things to do in Varadero	| Tags Beach in Varadero, Things to do Varadero Beach, Varadero Beach in Cuba, Where is Varadero? Why was Hotel Internacional Varadero voted #10 by Travelucion clients? Hotel Internacional is a hotel from a time when the 50s cars you see driving around were actually new. It was one of the first hotels in Varadero and not only does it feel old but it looks old. However, if you’re able to see past these superficial shortcomings it’s a splendid hotel. First off, while resorts seem to get bigger and bigger, just getting to the buffet each evening requires a map; this place is a high-rise which from lift to beach is about 30 meters. Hotel Internacional is for those who want a cheap, fuss-free hotel with true unadulterated history. If there’s one hotel in Varadero which is comparable to the Hotel Nacional in Havana, its undoubtedly the emblematic Hotel Internacional. Hotel Internacional Varadero is an unforgettable experience, you’ll be amazed by the service, though the construction of the Hotel is not new this is irrelevant if what a traveler needs is to relax and bathe on the best beach in the world. With a safe environment, this place is known for being one of the first hotels in Varadero and you´ll have fun and a great time. Hotel Internacional Varadero is one of Varadero’s most mythical hotels, built between 1948 and 1950 and inaugurated on December 24th 1950, the hotel, much like the Hotel Nacional in Havana, is testament to the roaring 50s and Cuba’s top spot as a Caribbean vacation destination. The six level building is built right on the white sand beach with amazing views of the coastline from its higher level rooms. Stepping from the lobby bar to the beach is a 15 meter distance. 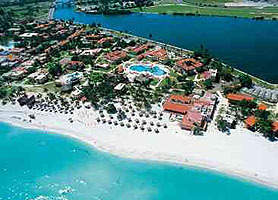 The hotel Internacional Varadero has 162 rooms divided into; 2 junior suites, 135 double rooms and 25 triple rooms. Furthermore, the hotel is blessed with 15 connecting rooms to accommodate larger families. The rooms are tastefully decorated and feature all modern amenities found in hotels of this stature. Due to the hotels constant upgrades over the past 60+ years, the Hotel Internacional Varadero is never behind the times, even offering high speed Wi-Fi for today’s most exigent guests. Hotel Internacional Varadero continues to be a classic 50s hotel, the numerous public figures who have visited is astounding and something the hotel is proud of. Visit Hotel Internacional Varadero if you want a taste of history to blend with your amazing days on the beach in Varadero, Cuba. As one of Varadero most historic Hotels, the Hotel Internacional Varadero is usually in very high demand and, as such, should be booked in advance. Our booking program allows reservations at Hotel Internacional without down payment or deposit which will guarantee your dates and also allows preferential modifications should your dates change in the future. Our booking process is unique because it shows the best rate from all of these for Hotel Internacional in Varadero Cuba and the types of rooms available. Our Hotel Internacional Varadero rate comparison is an industry first for Cuban Hotels. Once you’ve compared the rates, finalizing the booking at Hotel Internacional Varadero takes just seconds and an immediate confirmation is provided in real-time. Why was Hotel Club Kawama Varadero voted #9 by Travelucion clients? So, its stay home these vacations or go to Varadero? You’re family is on a limited budget and don’t have much spending money, you want the kids to be entertained so they’re not endlessly asking for money you don’t have. You want a cheap all-inclusive and also to feel like you don’t need any money from day 1 until the end of your stay. Hotel Club Kawama gets 9th spot because it offers you and your family a cheap getaway “sans” spending money, and its great! The Club Kawama follows the Caribbean theme with its pastel colored houses and bungalows evenly distributed through the immense picturesque gardens, fountains and water elements. Club Kawama boasts an ocean front location right on the beach. Being in downtown Varadero has many benefits because guests are just a few minutes’ walk from Varadero’s many artisan markets, paladares, gift shops and supermarkets. Walking along First Avenue you’ll also be able to visit Parque Josone, the unique theme park right in the heart of Varadero. Club Kawama features 4 large swimming pools, all-inclusive buffet, grill, 3 a-la-carte restaurants and no less than 7 bars! Villa Club Kawama Varadero offers a traditional Spanish hacienda building design rare in Varadero Cuba. This all-inclusive resort configuration lends itself to privacy and relaxation for the guests. Club Kawama All Inclusive resort is made up of a collection of attractive individual buildings and lush tropical gardens. Club Kawama come alive in the evening with live entertainment and numerous shows for the whole family. From 11pm guests can visit the amazing Club Kawama disco for a dance and continued fun and games. Due to many repeat visitors, Hotel Club Kawama Varadero is usually in very high demand and, as such, should be booked in advance. Our booking program allows reservations at Hotel Club Kawama without down payment or deposit which will guarantee your dates and also allows preferential modifications should your dates change in the future. Our booking process is unique because it shows the best rate from all of these for Hotel Club Kawama in Varadero Cuba and the types of rooms available. Our Hotel Club Kawama Varadero rate comparison is an industry first for Cuban Hotels. Once you’ve compared the rates, finalizing the booking at Hotel Club Kawama Varadero takes just seconds and an immediate confirmation is provided in real-time. Why was Melia Varadero voted #8 by Travelucion clients? A bit like the veteran musicians of Buena Vista Social Club, the now veteran Melia Varadero, with its almost 3 decades of service, just keeps pumping out reliable, hassle-free vacations to all its guests. Surpassed in just about every way by the newer hotels at the (new) Hicacos end of Varadero, Melia Varadero just seems to get better with age, a bit like good wine or a Rolex watch, its timeless but, be warned, if you want the latest trends in hotel fashion, look elsewhere. Melia Varadero is a well proven hotel, everything Works, staff are knowledgeable and the overall experience is good. Modern Varadero resorts are more expansive and have moved away from the high rise construction which was popular when Melia Varadero was created. However, some of these newer resorts can become tiring; especially walking from one place to another for the most basic services can become quite a task. Not so at Melia Varadero, where everything is a short lift ride away or never more than a short walk. For this reason we recommend Melia Varadero for those looking for ease of access and less hassle of the gargantuan resorts further along the coast in Varadero. Time certainly has flown since the Melia Varadero was inaugurated in 1991 in what was then a massive push to fill Varadero with quality hotels run by quality international management teams such as the Melia Group. Over 20 years on, Melia Varadero is still going strong and despite some well needed room adjustments and the addition of suites this 490 room hotel remains much the same but, now with 455 Double rooms, 28 specially furnished Deluxe double rooms and 7 presidential Suites, due to the hotels unique location, almost all rooms have sea views also. When we say the same, we don´t mean 1990´s decor because this hotel has been updated several times over the past two decades to bring it into line with modern standards expected of Varadero Hotels today. On the whole, Melia Varadero has matured well and still pulls in the visitors to Varadero time and time again. On the food front, the Breakfast buffet is exceptional with massive variety for all tastes. Breakfast can also be had at the pool bar along with freshly made natural juices unavailable at the buffet. This same buffet area is used for both lunch and dinner but guests are offered alternatives such as the Beach Barbeque (very good meat selection), Cuban restaurant (got to have those rice and beans) or the seafood restaurant which offers (for a small supplement) lobster. Pretty close to just about everything in Varadero, the hotel is right in the middle of the Peninsula meaning that visiting the old town is not too far and likewise the newer end of Varadero is also quite close. Getting to the small artisan markets in Varadero is either a 15 minute walk or a 2 minute taxi (about 12 CUC) while visiting the Plaza Americas Shopping centre takes about 20 minutes on foot and a little longer if you walk the beach instead of the road. Families with kids will feel well attended to at the Melia Varadero. The kids club is pretty much of the best there is and kids will revel in the amazing assortment of games and activities available to them. This leaves time for adults to soak up the sun at either the freshwater pool or better still, the idyllic Varadero Beach. The hotel offers a myriad of excursions ranging from trips to Havana to diving at the adjacent Varadero island of Cayo Blanco. Hotel Melia Varadero Varadero is usually in very high demand and, as such, should be booked in advance. Our booking program allows reservations at Hotel Melia Varadero without down payment or deposit which will guarantee your dates and also allows preferential modifications should your dates change in the future. Our booking process is unique because it shows the best rate from all of these for Hotel Melia Varadero in Varadero Cuba and the types of rooms available. Our Hotel Melia Varadero Varadero rate comparison is an industry first for Cuban Hotels. Once you’ve compared the rates, finalizing the booking at Hotel Melia Varadero Varadero takes just seconds and an immediate confirmation is provided in real-time. Why was Hotel Riu Varadero voted #7 by Travelucion clients? 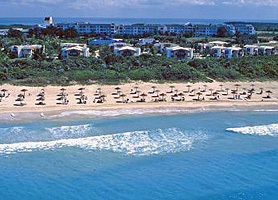 The Spanish chain Riu is somewhat of a late entry into the plethora of Hotel chains in Varadero Cuba. However, there’s certain “differentness” about Riu, something that’s hard to put into words but seems to be just right. You come away from their hotels feeling like they are telepathic or something, like as if they somehow knew how to make your stay idyllic and trouble free. And for this “je ne sais quoi” this hotel gets 7th spot. Hotel RIU Varadero has a variety unique services including; a golf course, playground, white sandy beaches, and of course a selection of wonderful restaurants. RIU Varadero is best known for its amazing a-la-carte restaurants where guests can enjoy the oriental Ging Seng, the La Orquidea, or the La Violeta. RIU Varadero is a magnificent beachfront hotel located in Varadero, Cuba with 1110 rooms, consisting of Superior Suites, Deluxe Suites, and more affordable Hotel Rooms. 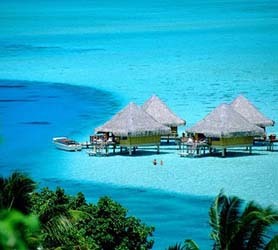 The hotel is famous for its spectacular views of the beach, and the luxurious comfort that the rooms offer guests. 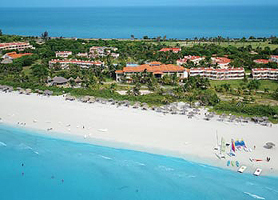 Varadero is a well-known holiday destination with more than 23km of pure white sandy beaches. The hotel comes complete with an exclusive pool, 24-hour room service, a beachfront view and exclusive access to an international restaurant for all guests. The RIU Varadero offers a selection of convenient bars throughout the establishment and will cater for all their guests, including both alcoholic and non-alcoholic drinks, as well as selection of deliciously prepared cocktails. RIU Varadero has a separate on divided Adult Section offering a unique selection of services and amenities that are available for all adult guests staying in this section of the hotel. Hotel Riu Varadero is usually in very high demand and, as such, should be booked in advance. Our booking program allows reservations at Hotel Riu without down payment or deposit which will guarantee your dates and also allows preferential modifications should your dates change in the future. Our booking process is unique because it shows the best rate from all of these for Hotel Riu in Varadero Cuba and the types of rooms available. Our Hotel Riu Varadero rate comparison is an industry first for Cuban Hotels. Once you’ve compared the rates, finalizing the booking at Hotel Riu Varadero takes just seconds and an immediate confirmation is provided in real-time. Why was Club Amigo Aguas Azules Varadero voted #6 by Travelucion clients? Some would argue that for the price of Club Amigo Aguas Azules Varadero it would be hard to even stay home and pay the bills. Yes, this hotel seems to defy all logic. Admittedly, it’s not the cleanest most pristine hotel property in Varadero, nor are the rooms anything more than just adequate. You see Club Amigo Aguas Azules Varadero gets 6th place because you end up being on one of the world’s most beautiful beaches, eat and sleep for less than it would probably cost you to stay at home. The Hotel complex is very nice and the entertainment staff makes a big impression, always full of energy with activities going on the whole time for all ages. As budget hotel to go with kids this is ideal. The food is plentiful and always freshly served and the staff seems to take great care of the restaurants and bars. With 331 rooms this hotel is by no means small but, you never seem to get the sensation of overcrowding. Rooms have all that anyone could wish for; Air-conditioned, security safe, large bathrooms, invalid friendly, jacuzzi, minibar, radio, international TV stations and a room telephone to call other guests are locally/internationally. Hotel Aguas Azules Varadero, Cuba is one of those all-inclusive hotels that can belie its price. At the “very reasonable” end of the price scale, this hotel is where it’s supposed to be, right on the seafront in Varadero Cuba on one of the planets most famous beaches. However, if you are looking for a 5 star at 3 star rates then look elsewhere. However, if your idea of a vacation is relaxing on the beach and enjoying the sea and sand then Hotel Aguas Azules ticks every box and, for the price, is an amazing value. At Hotel Club Amigo Aguas Azules you can enjoy recreational facilities like outdoor pool and Jacuzzi. And for those who want to maintain their exercise routine during their stay, the property has gym and sports facilities. Besides reception there is a hairdresser and gift shop. Aguas Azules is a welcoming place and one which should be high on your list of your looking for a cheap hotel stay in Varadero. You will not feel short-changed and, in fact, you´ll wonder why how much can be offered for so little. Aguas Azules Hotel is therefore highly recommended despite its 3 star rating. Due to its extremely competitive all-inclusive rate, Hotel Club Amigo Aguas Azules Varadero is usually in very high demand and, as such, should be booked in advance. Our booking program allows reservations at Hotel Club Amigo Aguas Azules without down payment or deposit which will guarantee your dates and also allows preferential modifications should your dates change in the future. Our booking process is unique because it shows the best rate from all of these for Hotel Club Amigo Aguas Azules in Varadero Cuba and the types of rooms available. Our Hotel Club Amigo Aguas Azules Varadero rate comparison is an industry first for Cuban Hotels. Once you’ve compared the rates, finalizing the booking at Hotel Club Amigo Aguas Azules Varadero takes just seconds and an immediate confirmation is provided in real-time. Why was Hotel Villa Cuba Varadero voted #5 by Travelucion clients? As a budget all-inclusive hotel in Varadero the Hotel Villa Cuba wins with flying colors. Its blend of cheap price, excellent location and, above average meal offerings – for the price – keeps this hotel firmly in number 5 position from over 65 hotels in Varadero, that’s not bad. Of course, to give Hotel Villa Cuba this rating we are only considering it as the best of the budget hotel bunch. The Hotel Villa Cuba Varadero has its own on-site a la carte restaurant which accompanies the excellent all-inclusive buffet included in the rate of all guests. Near the hotel, there is a broad choice of international restaurants and paladares only a short stroll away. The Hotel Villa Cuba Varadero also features a cosy lounge bar, an ideal spot for a relaxing pre-dinner drink. The majority of the Hotel Villa Cuba Varadero guests are repeat customers who have fallen in love with its unique ocean front location, low price and excellent personalized service. 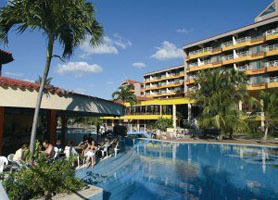 Hotel Villa Cuba Varadero offers Jacuzzis, a large swimming pool, along with a sauna and a cafeteria. The Hotel Villa Cuba Varadero is one of Varadero’s older hotels but is by no means antiquated. Hotel Villa Cuba Varadero was completely refurbished in 2005 and rooms now include cable / satellite channels, a private bathroom and a refrigerator. All rooms at Hotel Villa Cuba Varadero are tastefully decorated and feature independent air conditioned controls, telephone and a hair dryer. Hotel Villa Cuba Varadero is usually in very high demand and, as such, should be booked in advance. Our booking program allows reservations at Hotel Villa Cuba without down payment or deposit which will guarantee your dates and also allows preferential modifications should your dates change in the future. Our booking process is unique because it shows the best rate from all of these for Hotel Villa Cuba in Varadero Cuba and the types of rooms available. Our Hotel Villa Cuba Varadero rate comparison is an industry first for Cuban Hotels. Once you’ve compared the rates, finalizing the booking at Hotel Villa Cuba Varadero takes just seconds and an immediate confirmation is provided in real-time. 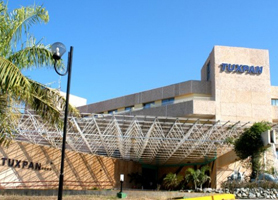 Why was Hotel Tuxpan Varadero voted #4 by Travelucion clients? Tuxpan Hotel is like that old sweet lady down the street. Never makes much fuss, never hits the headlines but continues to be sweet hotel. Don’t expect TUXPAN to be anything other than a solid reliable choice which, in these days or spectacular let-downs, Hotel Tuxpan ticks all the boxes for a trouble free stay, close to the city center and reliable service. Year after year, the hotel continues to please its guests, which is about as good as it gets. The Hotel Tuxpan in Varadero is great for families with children as it offers some of the best entertainment services in the whole of Varadero. These include usually “extra cost” kids lessons in sailing, surfing, canoes, pedal boats, catamarans apart from the habitual poolside games of darts, table tennis and pool activities. Hotel Tuxpan is one of Varadero´s classic hotels that have been on the preferred vacation list for many years. The whole staff runs the resort extremely well, some having been there for over 3 decades and, this itself, shows through in the attentiveness to guests. Entirely remodeled some years ago, the hotel boasts; mini club facilities, games areas, Buffet Restaurants and “ A la Carte” restaurants, Lobby Bar, Beach Bar, Pool Bar, Piano Bar, Bar, Snack bar with snack service 24 hours a day, Grill, Daily and nightly entertainment activities, live shows. Other services available include; Massage service, Minibar, Shops, bicycle rental, laundry services, Currency exchange, Special dinner menus and selected international wine cellar and onsite doctor service. The buffet offers and amazing assortment of dishes including all types of meats, fish, poultry and even prawns. Special menus (payable) are available which offer exquisite lobster meals or high grade sirloin meats with internationally renowned wines also available for a little extra. Situated right on the beach the hotel boasts a privileged position due to it being one of the first hotels in Varadero and as such very close to the town center, unlike some of the newer hotels which have become quite remote as Varadero has expanded. The Hotel Tuxpan is a venerable old classic which receives 1000´s of return visitors each year due to its simple ambience and highly efficient staff. Why was Superclubs Breezes Varadero voted #3 by Travelucion clients? Coming in at number three, Superclubs Breezes Varadero wins third position purely through attention to detail and, more precisely, for families. You see Superclubs Breezes Varadero is probably the best hotel in Varadero if you’re traveling with kids. We´d go as far as to say that the hotel is probably better for your kids than it is for you… The kid’s entertainment is absolute, all-encompassing, full-on KIDS and will have your kids entertained from sunrise to sunset. If it’s important for you to keep the young ones enthralled while you’re on vacation, with the upside of you having more time for yourselves, then choose Superclubs Breezes Varadero. Situated in beautifully mature gardens, the hotel is reminiscent of a jungle location until you venture past the greenery and see that you are actually surrounded by other hotels. This gives the hotel a sensation of remoteness not found at other hotels in Varadero. 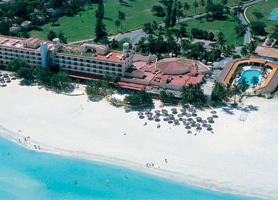 Superclubs are known for their abundant all inclusive and the hotel SUPERCLUBS BREEZES Varadero is no exception. We´d challenge any guest not to be entirely happy with what the 4 restaurants and 6 bars have to offer. The buffet meals are exceptional and the los Bohios snack bar makes excellent mid meal sandwiches, hamburgers and hotdogs to die for. SUPERCLUBS BREEZES Varadero is highly recommended and sits on an impressive chunk of Varadero Beach. The rooms are excellent and all 270 of them are called Suites, Junior Suites and the most expensive being the Tropical Suites. The “Suite” nomenclature shows in the décor and careful design details. All are large with impressive views unless you are on the lower floor of this three level hotel. The hotel is located right opposite hole 4 of the 18 hole Varadero Golf course and guests get specials deals to play the course. Located 30KM from the Varadero Airport or 130KM from Havana Airport your journey time will be 20 minutes and 70 minutes respectively. The hotel´s rule that kids must be 14 or more means that younger families will be unable to book the rooms easily however, for those looking for peace and quiet this hotel can be an ideal option especially for honeymoon couples or elderly guests. The beach bar serves particularly excellent cocktails of the standard Cuban Daiquiri, Mojito and Cuba Libre varieties along with well known international cocktails such as the amazing piña colladas. This resort is renowned for its assortment of water sports, all included in the price; water Skiing, catamaran Sailing, Kayaks, Windsurfing, snorkeling. 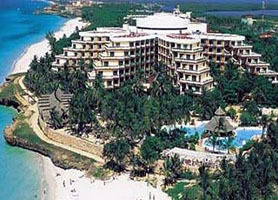 Hotel Superclubs Breezes Varadero is usually in very high demand and, as such, should be booked in advance. Our booking program allows reservations at Hotel Superclubs Breezes without down payment or deposit which will guarantee your dates and also allows preferential modifications should your dates change in the future. Our booking process is unique because it shows the best rate from all of these for Hotel Superclubs Breezes in Varadero Cuba and the types of rooms available. 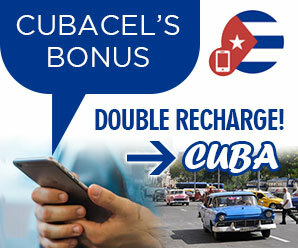 Our Hotel Superclubs Breezes Varadero rate comparison is an industry first for Cuban Hotels. Once you’ve compared the rates, finalizing the booking at Hotel Superclubs Breezes Varadero takes just seconds and an immediate confirmation is provided in real-time. Why was Ocean Varadero El Patriarca voted #2 by Travelucion clients? Ocean Varadero El Patriarca gets number two spot for many of the same reasons as the number one hotel, it’s a hotel that has used all the knowledge of Varadero’s “older” end of the peninsula, taking only the good, jettisoned the bad, and rolled everything positive into the Hicacos nature reserve where it is located. It’s not rocket science, after all, most hotels go through a teething faze weeding out the bad. However, the issue is that Ocean Varadero El Patriarca was built from the ground up with little if anything “bad” right from the get-go. The Ocean Varadero El Patriarca features 420 beautifully decorated rooms plus special Deluxe Rooms, Junior Suites and Privilege Junior Suites which offers special services such as permanent concierge services. Ocean Varadero El Patriarca Varadero boasts two outdoor pools, a separate children’s pool and even a paddling pool for toddlers. Furthermore, for you sport enthusiasts there are two tennis courts and two multi-purpose sports grounds. Ocean Varadero El Patriarca Varadero is a new all-inclusive 5-star resort located on the end of Varadero’s beautiful peninsula in the up-market Hicacos nature reserve zone. The Ocean Varadero El Patriarca takes its name from the famous “El Patriarca” cactus located in the Hicacos area which is over 500 years old. The hotel is situated oceanfront lot of the idyllic Varadero white sand beach where natural palm trees line the shores of white sands and turquoise waters. Due to its nature reserve location Ocean Varadero El Patriarca Varadero is surrounded by extensive tropical gardens and abundant wildlife including Pelicans and migrating birds. The Ocean Varadero El Patriarca Varadero even has its own theatre and onsite nightclub which stays open to the early hours but (for those who prefer to sleep) is entirely sound proofed. On the beach you’ll find a complete range of non-motorized water sports including windsurfing, sailing, kayaking, catamaran sailing and snorkeling equipment. The “Despacio” health and beauty Spa Center offers a unique experience of separate water circuits, hydrothermal therapy, light and steam therapy, an ice fountain, Jacuzzi, gym and sauna, as well as outdoor palm shelters where you can indulge in a massage in the fresh open air. 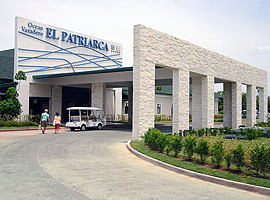 If you join the Ocean Varadero El Patriarca Privilege Club you’ll be offered Exclusive Rooms and Services, including the exclusive Privilege lounge with private Privilege guest only outdoor terrace and bar with top shelf drinks, as well as an VIP exclusive swimming pool and bar and à la carte breakfast. As one of Varadero’s lastest hotels the Hotel Ocean Varadero El Patriarca Varadero is usually in very high demand and, as such, should be booked in advance. Our booking program allows reservations at Hotel Ocean Varadero El Patriarca without down payment or deposit which will guarantee your dates and also allows preferential modifications should your dates change in the future. Our booking process is unique because it shows the best rate from all of these for Hotel Ocean Varadero El Patriarca in Varadero Cuba and the types of rooms available. Our Hotel Ocean Varadero El Patriarca Varadero rate comparison is an industry first for Cuban Hotels. Once you’ve compared the rates, finalizing the booking at Hotel Ocean Varadero El Patriarca Varadero takes just seconds and an immediate confirmation is provided in real-time.